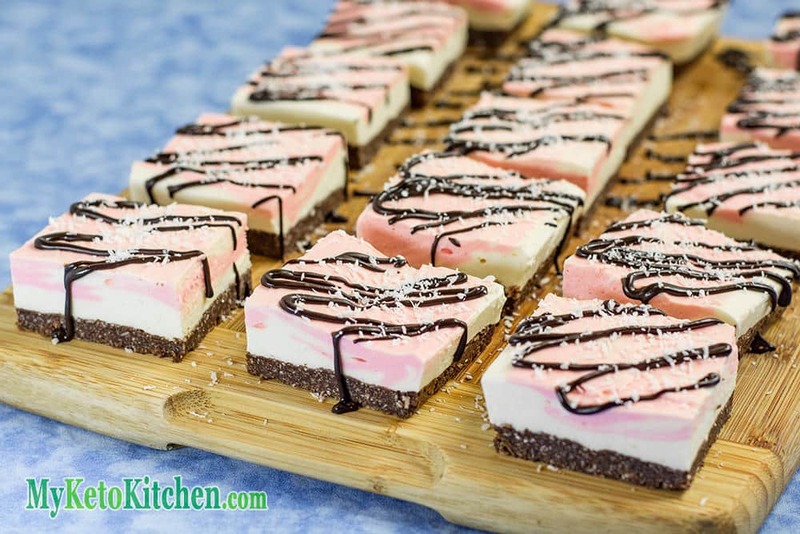 Low Carb Cherry Cream Chocolate Cookie Bars - MUST TRY THIS! 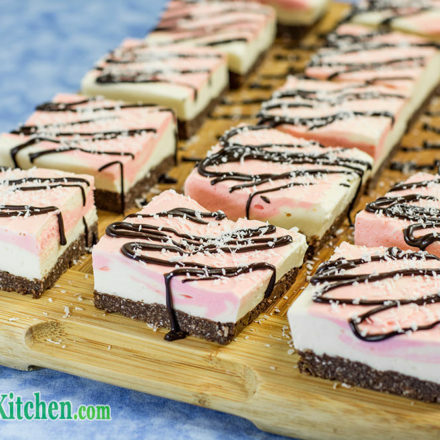 These delicious Keto Bars Recipe – Chocolate Cookie Cherry Cream flavor might be more than a mouth full to say, but they’re even better to eat. I cooked these for my mum’s birthday, she’s a big fan of Cherry Ripe chocolate bars (An Aussie favorite). Cherry Ripes, being, cherry & coconut filled, chocolate bars. 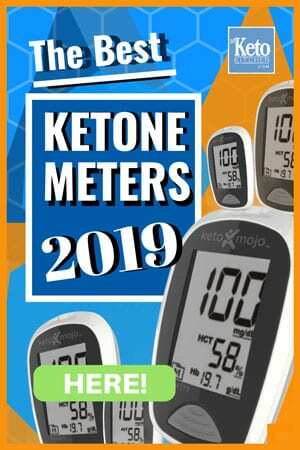 This keto bar recipe involved some serious thought to making them sugar-free and ketogenic with natural sweeteners and other low-carb ingredients. Since we choose not to eat fruit, real cherries were out. So I used cherry essence with natural extract. Rich cherry flavor and scent that is all over my hands, it’s an intoxicating perfume! We cut the keto bars into 15 pieces; one piece is one serve. How to make the keto bars cookie base. In a mixing bowl add the almond flour, shredded coconut and natvia. Place the chocolate and butter into a separate bowl and put the bowl over a simmering saucepan of water. Ensuring that the water does not touch the bowl. Add the melted chocolate and butter into the dry ingredients and mix well. Press the base evenly and firmly into a 9×13 brownie pan. Place in the fridge to set while making the next layer. Place the cream cheese, cherry essence and natvia into your stand mixer, with the whisk attachment. Mix until smooth. Add ⅔ of the cream and mix well. In a separate bowl dissolve the gelatin in the boiling water. With the mixer running on low speed, slowly add the gelatin mixture. Add the remaining cream and mix well until all the ingredients are well combined and smooth. Spoon ⅔ of the mixture on top of the chilled base. Add the food coloring to the remaining mixture and mix well. Spoon the pink mixture over the base and swirl through. Set in the fridge for 3 hours, or overnight for best results. Cut into squares and set on a large plate or wooden board. In a mixing bowl add the chocolate and cherry essence. Place the bowl over a saucepan of simmering water, ensuring that the bowl doesn’t touch the water. When the chocolate has melted, add the cream and stevia (if using) and mix well. Add the warm chocolate to a piping bag with a very fine piping nozzle and drizzle over the chilled bars. Enjoy immediately or store covered in the fridge for up to 1 week – if they last that long. The Cherry Ripe is an iconic Australian chocolate bar and my Mum’s favorite. 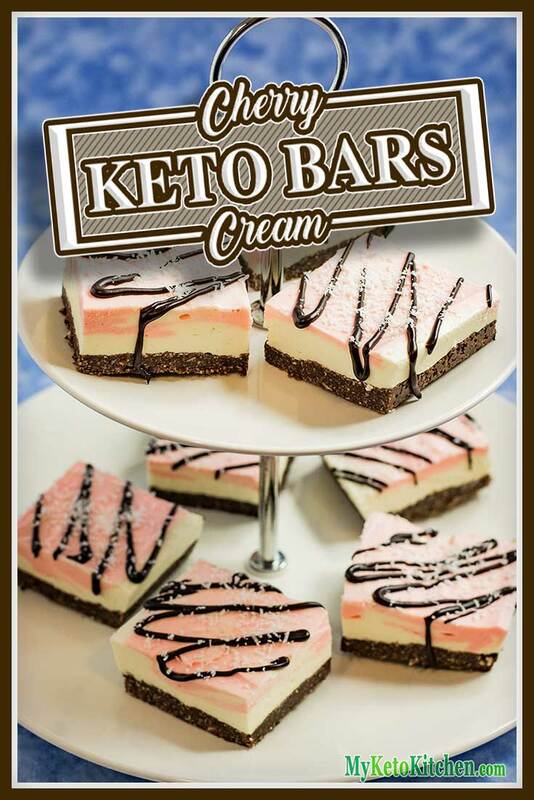 This Keto Bars Recipe - Chocolate Cookie Cherry Cream are smooth, creamy with a crisp crunch base. Place the chocolate and butter into a separate bowl and place the bowl over a simmering saucepan of water. Ensuring that the water does not touch the bowl. Press the base evenly and firmly into a 9x13 brownie pan. Enjoy immediately or store covered in the fridge for up to 1 week - if they last that long. To make a larger batch of this Keto Bar Recipe increase the serving amounts in the card above. Omgoodness! Can’t wait to make these. Cherry Ripes are one of the many things I miss about home now that I live in the US. Don’t forget to tag us in a photo when you make them!